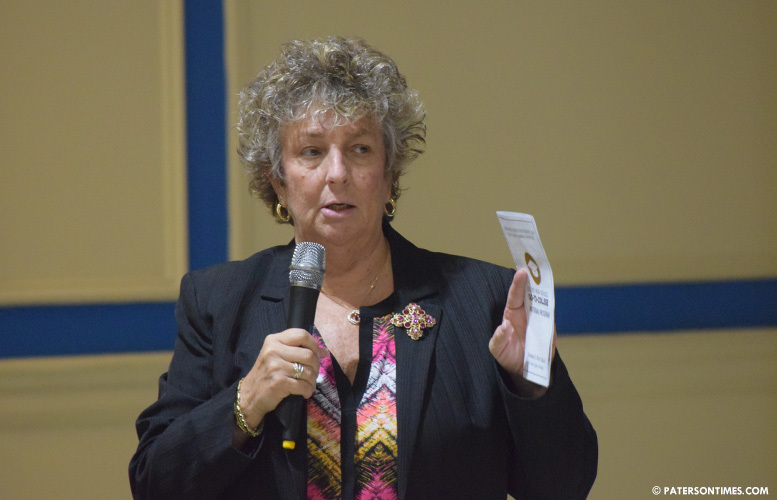 Superintendent Eileen Shafer could collect as much as $35,000 in bonuses if she meets five goals outlined in a resolution approved by the school board on Wednesday night. And complete a five-year strategic plan for implementation by Jul. 1, 2019. School board members approved the measure without opposition. School board president Oshin Castillo and vice president Nakima Redmon could not immediately be reached for comments for this story on Thursday morning. Shafer’s predecessor Donnie Evans had a clause in his contract that allowed him to earn as much $10,900 or 15-percent on top of his $218,000 salary for attaining merit goals. School board members partially discussed the goals in their Nov. 7, 2018 public meeting. Some raised questions about the goals. Longtime board member Jonathan Hodges found the goals easily attainable and not enough to drastically improve education in the district. “I know the number of students was 229 enrolled in AP courses in 2017-2018. That actually has jumped 100% for 2018-2019. If the enrollment doubled this school year, why is our increase 25%? Should we shoot for something higher?” asked former school board member Jessica Schutte in November. Hodges thought the goal to raise PARCC scores sufficient given that there was just 1-percent increase the previous school year. Part of the goals discussed in November included improving chronic absenteeism. But that was not included in the five goals approved last night. Hodges said the goal to increase the graduation rate was not substantial. “You have here, increase the high school graduation rate by 2%. That would translate overall into an increase from 1,330 students to 26 additional students. In fact, the graduation rate would go from 47% to 48%, which is not substantial,” said Hodges in November. Hodges and Schutte were the only two members of the 9-person board to fully engage during the discussion around goals last year. You could not have said it better as if her $200K plus job per year wasn't enough. Paterson public school is finally heading in a good direction. After being under state control for so long , Paterson ps is now implementing program that were never here due in path because of this lady she genuinely care about education and the kids here. Please just keep the council members out. Give her her bonus much deserve. Look at other town the the bonuses are bigger in some cases. I can see you are just as passionate about your kids education as I am.